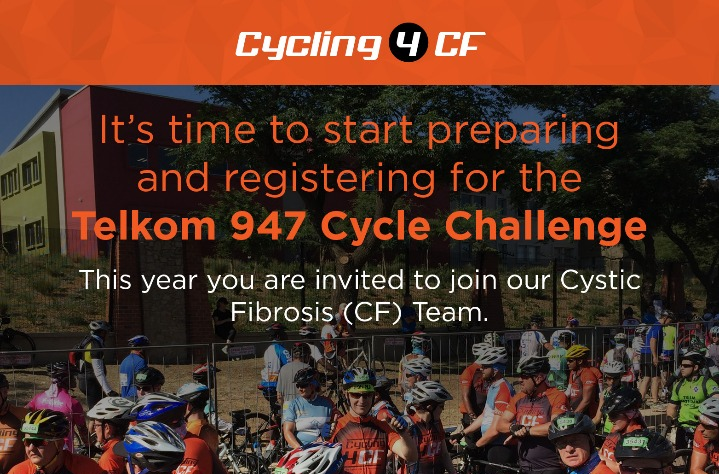 The South African Cystic Fibrosis Association invite you this year to join our Cystic Fibrosis (CF) Team and so become involved in out “Cycling 4 CF” public awareness and fund raising campaign. Please have a look at the packages below or in the attached flyer. 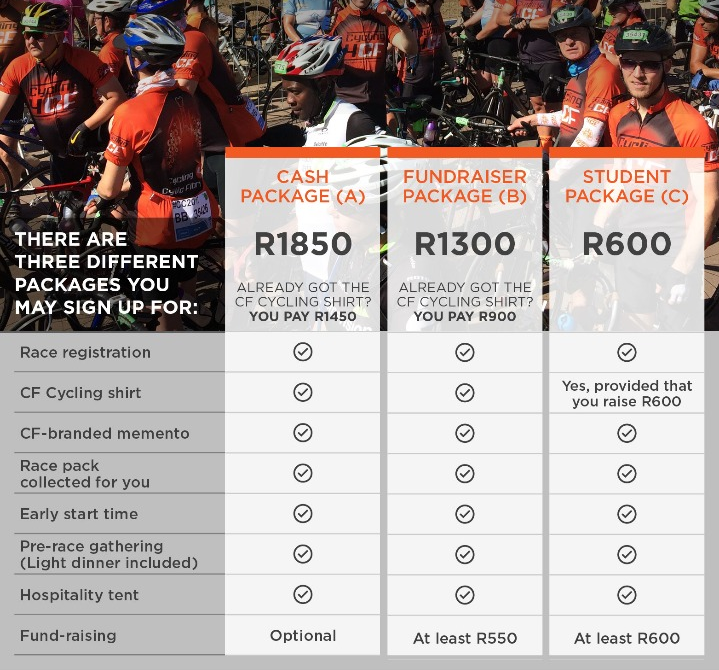 If you already have a CF Cycling Jersey you will see that there is a reduction of R400 if you decide to use the same jersey as last year. Please note that all packages include registration, race pack collection, pre-race gathering, hospitality tent after the race and a CF memento. If you join the team you may either go off at the team start time or your own seeding if it’s earlier. There are two forms, one quick form for 947 regulars and one more detailed form for 947 first timers. Packages are the same, but more details are required if you are a first timer or if your medical details have changed. Thank you for all your support and best of luck in the cycle race. Happy training! !